JULIAN CHARTER SCHOOL BY AND THROUGH THE JULIAN UNION ELEMENTARY SCHOOL DISTRICT. Administrative Law Judge (ALJ) Susan Ruff, Office of Administrative Hearings (OAH), State of California, heard this matter on January 22, 23, and 24, 2013, and February 7, 2013, in San Diego, California. Tania Whiteleather, Esq., represented Student and Student’s parents (Student). Ms. Whiteleather was assisted by Amy Langerman, Esq. 1 and Nydia Celina Viloria. Student’s parents were present during most of the hearing. Student was not present. 1 Ms. Langerman is licensed to practice law in Arizona and was acting as a legal advocate during the hearing. Ms. Langerman assisted Attorney Whiteleather and presented part of Student’s case. 3 To maintain a clear record, Student’s written closing argument has been marked as exhibit GG. The District’s written closing argument has been marked as exhibit 28. 4 To maintain a clear record, the District’s moving and reply papers have been marked as exhibit 29 and 30, respectively. Student’s opposition papers have been marked as exhibit HH. a) Did the District violate Student’s procedural and/or substantive rights to a free and appropriate public education (FAPE) through its August 14, 2012 Individualized Education Program (IEP) when it recommended a change in placement from an inclusive general education placement to a restrictive self-contained class without first assessing Student’s needs and considering whether modifications, additions, changes could be made to Student’s current general education environment/services to enable Student to continue to make educational progress in the least restrictive environment (LRE)? b) Did the April 11, 2011 IEP appropriately document Student’s need for aide support? On the day the parties’ written closing arguments were due, February 19, 2013, the District filed a Request for Official Notice, requesting that the ALJ take official notice of some pages from an internet website listing information from the California Commission on Teacher Credentialing. The District contends these pages show the credentials of Allan Roth (one of Student’s witnesses) have expired. The District believes this evidence is relevant to Mr. Roth’s credibility. The ALJ denies the District’s request and declines to take official notice of these website pages. The request is not timely. The District had notice that Mr. Roth would be a witness prior to this hearing. Mr. Roth was the first person who testified at the hearing on January 22, 2013, and the hearing ended on February 7, more than two weeks after his testimony. The District had plenty of time to check his credentials before or after his testimony. There is no excuse for the District waiting until long after the close of evidence to request official notice, when Student had no opportunity to rebut this information. This case asks the question: Can a child make so much educational progress in a general education, full-inclusion setting that he must then be moved to a special education classroom with limited mainstreaming? Student is a child with Down Syndrome who attends a charter school which is chartered by the Julian Union Elementary School District. During the times at issue in this case, Student had been included in a general education classroom at the charter school with a full-time aide provided by a particular non-public agency (NPA) provider referred to as The Autism Group, Inc. The Autism Group aides are trained to use a methodology known as Relationship Development Intervention with children. Student gained academic, social and behavioral benefit in that setting. Student contends that the District denied Student a FAPE in the August 14, 2012 IEP by offering placement in a special day class (SDC) that was not the LRE for Student and by making the offer without first assessing Student to see if there were modifications or services that could have enabled Student to stay in the general education setting. The District contends that its offer of an SDC class with mainstreaming opportunities was the LRE appropriate for Student because Student’s August 2012 IEP, unlike his prior IEP, contained academic goals that required Student to be placed in a special education classroom so he could engage with peers who were at his same academic level. This Decision finds that the District’s proposed August 2012 IEP did not offer Student a FAPE in the LRE. Student had been gaining educational benefit in his general education inclusion setting. As of August 2012, it was objectively reasonable to conclude that he would continue to gain educational benefit if the District continued the services and supports that had been successful during the previous year. The District should not have attempted to place him in a more restrictive setting. Student also contends that the District’s April 11, 2011 IEP should have specified that Student was receiving aide services by an NPA aide trained in Relationship Development Intervention. Student contends the parties agreed to that at the IEP meeting. The District contends that its IEP properly listed an instructional aide in the IEP and that it was not necessary to specify an NPA provider or training in a particular methodology in the IEP. For the reasons discussed in the Legal Conclusions below, this Decision finds that the District did not violate special education law by failing to specify in the April 2011 IEP that Student required an NPA aide who was trained in Relationship Development Intervention. 5 There was evidence during the hearing that Student had previously attended a different campus of the Julian Charter School, but there was no evidence that the change in campuses had any impact on the legal issues presented in this case. 1. Student is a 10-year-old boy who is eligible for special education and related services due to an intellectual disability resulting from Down Syndrome. During the times relevant to the issues in this case, Student has attended the Julian Charter School campus located in Encinitas, California, known as the Innovation Center Encinitas (or ICE). 5 Julian Union Elementary School District is the local educational agency (LEA) which chartered the Julian Charter School. 2. At the time of the April 11, 2011 IEP meeting, Student’s family resided in or near Encinitas, where ICE was located. In approximately April 2012, the family moved to a location near Julian. The parties do not dispute that Student’s family still resided within the jurisdiction of the Julian Charter School after his family moved. 3. In approximately August or September 2010, about eight months before the first IEP meeting at issue in this case, the District agreed to retain an NPA known as The Autism Group, Inc. (TAG) to provide services for Student. 4. Brooke Wagner, the owner and director of TAG, described TAG during the hearing. TAG provides comprehensive support services for children in the home, the school and the community, including academic support, aide support, and training for school staff. 5. TAG specializes in a methodology known as Relationship Development Intervention (RDI). That methodology focuses upon developing a mentor-apprentice relationship between an adult and a child. The RDI mentor encourages the child to problem solve and make discoveries on his or her own. The hope is that the positive memory of the successful problem-solving experience will lead the child to want similar positive experiences and seek out the mentor. Unlike Applied Behavior Analysis (ABA), RDI does not rely upon external rewards such as candy or food to encourage a child to provide an expected outcome. RDI emphasizes internal rewards as a result of the child’s success at problem solving under the mentor’s guidance. TAG employs five out of six of the certified RDI consultants in San Diego County. There is one other company in San Diego County that employs a certified RDI consultant besides TAG, but that company provides counseling, not school-based RDI support. 6 During the hearing, District representative Dana Belcher testified that some or all of Mr. Roth’s credentials have expired. The District contends that this calls Mr. Roth’s credibility into question. However, the mere fact that his credentials have expired does not undermine his credibility. Neither side asked Mr. Roth if his credentials were current during his testimony, and there was no evidence that he requires those credentials for his current job as an educational advocate assisting parents. Mr. Roth’s demeanor was straightforward during his testimony, and he was a highly credible witness. For this reason, even if the District’s untimely Request for Official Notice (discussed above) had been granted, it would have had no effect on the ultimate findings in this case. 6. Ms. Wagner is not a credentialed teacher. She participated in an intensive training program regarding the use of RDI. It took about two years to complete her training. She had experience working with children using ABA prior to her training in RDI. In Wagner’s opinion, there is less “aide dependence” for a child being instructed using RDI than a child being instructed with ABA, because any prompting done by the RDI aide is indirect to encourage the child to come to the answer on his or her own, rather than the direct prompting used in ABA. 7. At the time the District first retained TAG, TAG was also providing home services to Student through the Regional Center separate from the school-based services provided by the District. The parties dispute why the District agreed to the TAG services. 9. Mr. Roth explained that he approached Ms. Wagner to learn about RDI because ABA was not working for Student. He had heard that RDI was a program which might assist pupils who had plateaued on ABA. He spoke with Claire Roush, who was at that time the Assistant Director of Special Education for the Julian Charter School, about TAG. He testified that Ms. Roush was eager to find an alternative program to help Student with his classroom behavior. Student’s mother also confirmed during her testimony that ABA had not been successful for Student. 10. Ms. Roush told a different version of the story during her testimony. Ms. Roush holds, among other things, a special education mild-moderate credential and an administrative services credential. She has worked as an instructional aide, taught as a special education teacher in both an SDC and resource room, and has been a special education administrator. She has known Student for four and one-half years and served as his instructional aide prior to the time that the charter school hired an aide for him. 11. Ms. Roush testified that the decision to obtain TAG services had nothing to do with any failure of ABA. In her opinion, ABA strategies had been successful for Student. She explained that she was approached by Student’s mother or Mr. Roth who told her that Student would be beginning RDI at home through the Regional Center and Student wanted to have those services at school as well. According to Ms. Roush, she was told that Student could not have those RDI services at home if they were not also provided at school. The RDI system of relying on internal rather than external rewards was in line with the Julian Charter School’s educational philosophy and Ms. Roush did not see any significant difference between ABA and RDI, so she agreed to the family’s request. 12. Student’s mother denied that she told Ms. Roush that Student could not get RDI at home if it was not also being used at school. She explained that Ms. Roush had been happy to attempt RDI with Student because Ms. Roush had been seeing the same lack of progress by Student that Student’s mother had been seeing. 13. Student’s witnesses were more persuasive on this issue. Mr. Roth and Student’s mother were highly credible witnesses. The evidence supports their testimony that the change to RDI was made because Student was not adequately progressing under ABA. If Student had been making adequate progress, it is unlikely those two would have sought a new program and it is even less likely that the District would have changed to such a program. There was never a later suggestion by the District staff to return to ABA, even when the District began to pay for TAG-employed aides to work with Student after April 2011 (as discussed in the Factual Findings below). 14. Ms. Roush’s testimony is weakened by comments she made to the August 2012 IEP team that “we switched providers for behavior support because we wanted to try something new, because we felt like he wasn’t making progress, and now he’s made huge progress….” The parental request and the philosophy of the Charter School undoubtedly were factors in the District’s decision to change to RDI – but the evidence supported Student’s position that lack of adequate progress under ABA was the primary factor. 15. Student began using RDI in his home program through the Regional Center in August 2010. He began his school-based RDI in September 2010. Initially, the District hired TAG to provide consultation and training to District aides regarding the RDI methodology. Ms. Wagner went into Student’s classroom on a weekly basis to consult and to provide support and modeling for the aides. Ms. Wagner also began attending Student’s IEP meetings beginning in approximately September 2010. 16. According to Mr. Roth, the RDI training and consultation was not successful at that time because the District aides were too embedded in the use of ABA methodology. They could not make the shift to RDI. Ms. Wagner also believed that the District aides were inconsistent in applying RDI principles when working with Student. Student exhibited behavioral problems during that time, including aggressive behaviors that required him to be removed from the general education classroom. 17. Ms. Roush agreed that there were problems with the District’s aide who worked with Student during the early part of 2011. She said the District had been planning to let the aide go, but the aide learned of it and quit shortly after the April 2011 IEP meeting. 18. On April 11, 2011, Student’s IEP team met for his annual review. At the time, his present levels of performance indicated that he could engage in a non-preferred task for up to 10 minutes and had trouble transitioning to new activities. He was able to participate with his peers in a general education setting for about 10 minutes with adult prompting, though the time could be as high as 45 minutes for a preferred activity. 19. The IEP noted Student’s problem behavior: “Defiance and off-task behavior impede [Student’s] learning and learning of other students.” The IEP called for behavioral goals and a behavior support plan. It also contained a list of interventions, strategies and supports, including, but not limited to: rewards/incentives, frequent scheduled breaks, a visual system of classroom rules and verbal praise. 20. The IEP called for Student to receive 480 minutes per month of speech-language services, 360 minutes per month of adapted physical education (APE), and 480 minutes per month of behavior intervention services, as well as extended school year services during the summer. Student’s parents would provide transportation to the charter school. 22. The April 2011 IEP did not state that a TAG or NPA aide would serve as the instructional aide for Student and did not mention RDI methodology or RDI training. Ms. Roush testified that the District would never name a particular NPA provider in an IEP or list specific instructional strategies or methodologies. 23. The IEP language was somewhat confusing with respect to Student’s classroom placement. However, the evidence at hearing showed that Student was included in a general education classroom for four days a week with one-to-one aide support and consultation by the special education teacher with the aide. Part of Student’s instruction occurred in a one-to-one setting outside the classroom in what came to be referred to as his “man-cave” (described in Factual Finding 36 below). Part of his instruction occurred in the general education classroom with typical peers. For one day a week, all the children at the charter school (including Student) were home schooled on independent study. 24. Student’s mother consented to the IEP goals on the day of the meeting and other parts of the IEP subsequent to the meeting. After the April 11, 2011 IEP meeting, the District paid for an aide employed by TAG to work with Student rather than relying on a District-employed aide. Since that time, the District has continued to pay TAG to provide RDI-trained aides for Student. The parties disagree about why the change to a TAG aide occurred. 25. Mr. Roth, who did not attend the April 2011 IEP meeting, testified that the change was made because the District aides were not properly employing the RDI methodology with Student. Ms. Wagner also testified that the District agreed to provide a more highly-skilled TAG aide because the District aides were inconsistent in their use of RDI, as a result of which the methodology was not working. Student’s mother testified that the IEP team determined that Student needed a more highly trained aide to work with Student, and TAG had the ability to supply such an aide. 26. Ms. Roush, on the other hand, testified that it was not the District’s intention to hire a TAG aide permanently for Student – they just hired a TAG aide because April was too near the end of the school year to train a new District aide and the District knew that TAG had aides who were available. The District already had an existing contract with TAG, and they did not want to delay Student’s services. Ms. Roush did not believe that Student needed a TAG aide trained in RDI methodology at the time of the April 2011 IEP meeting in order to make progress. She also did not believe that RDI was the only methodology that enabled Student to gain benefit. 27. There is evidence to support the District’s position. The notes to the April 2011 IEP reflected that Student met 18 out of his 31 goals and made progress on nine others. This supports Ms. Roush’s testimony that, despite any problems with the District aide, Student was gaining educational benefit from that program. 28. In an email that Ms. Wagner sent to Ms. Roush on April 18, 2011 (after the IEP meeting) she discussed providing an aide for the rest of the school year and then stated: “If he continues to need support next year we would provide a permanent aide at that time.” Ms. Wagner attended the IEP meeting and knew what was discussed. If the District had agreed to switch to a TAG aide permanently during that meeting, it is unlikely that Ms. Wagner would have used that language in her email. Her email also discussed the difficulty of offering “an aide the hours for such a short time.” Once again, this language implies that the IEP team did not agree to a permanent switch to TAG-employed aides. 29. The very language of the IEP itself supports the District – the IEP team could have, but did not specify that an NPA aide would be used. According to the documents in evidence, Student’s mother did not sign agreement to the IEP services until August 2011, but the TAG aide was hired in April 2011 – if the change to a TAG aide had been a permanent change in Student’s program that required IEP team action and IEP documentation, the District could not have implemented that change until Student’s mother agreed. 30. On the other hand, there is also evidence to support Student’s position – the District continued to use TAG employees as aides during the following school year (Student’s second grade year). According to Ms. Roush, the District continued to use TAG aides because Student’s family had indicated they might be moving to the Julian area. Because the District did not know if Student would be at the charter school for only a few months, it did not make sense for the District to hire a new individual to work as his aide. 31. Ms. Roush admitted that the District never raised the subject of changing back to District aides at any IEP meeting after April 11, 2011. Even after the difficult situation with Tiffany (which will be discussed below), the District did not suggest going back to a District-employed aide. Likewise, at no time during the 2011-2012 school year did the District discuss abandoning the RDI methodology. Ms. Roush also admitted that Student needed a behavioral aide at that time, not an instructional aide as stated in the IEP. 32. The weight of the evidence supports the District’s position regarding the NPA aides. Student had been making progress under a District-employed aide and the emails from Ms. Wagner indicate that the use of a TAG aide was not agreed-upon as a permanent solution at the IEP meeting. Student has the burden with respect to this issue and did not bring in sufficient evidence to show that the April 2011 IEP team agreed to switch permanently to a TAG-employed aide during the April 2011 IEP meeting. 33. The evidence does support Student’s contention that the parties agreed that the aide – whether employed by the District or NPA – would be trained in and use RDI methodology with Student. RDI was a necessary component of Student’s program as of April 2011. The April 2011 IEP stated that the team agreed to have an aide with more training work with Student. The extra training referred to in that IEP clearly involved the use of RDI. 34. However, this does not resolve the legal question of how the aide support should have been documented in the IEP and whether the failure to describe the aide as an RDI-trained aide constituted a procedural violation of special education law. That issue will be discussed in the Legal Conclusions below. 35. The first aide provided by TAG was named Michelle. She was a TAG consultant who had just returned from maternity leave. Ms. Wagner explained that, because there were only six weeks left of the school year after the April 2011 IEP meeting, there was no time for TAG to hire and train an aide specific to Student, so Michelle provided the aide services. 36. Student’s behavior began to improve while working with Michelle. Michelle set up structural supports for Student including an area outside the classroom called the “man-cave” where Student could work when he needed a break from the main classroom. His problem behaviors decreased during that time and he began to integrate into the general classroom more. Student began to exhibit a desire to integrate more into the main classroom. Michelle was not able to continue with Student during the next school year because she had to go back to her case load and could not be a full-time aide. 37. For the start of Student’s second grade year in September 2011, TAG hired an aide named Tiffany. However, Tiffany did not work out and TAG eventually let her go. Ms. Wagner explained that Tiffany could not implement the RDI protocols and engaged in improper behavior such as texting during work. Ms. Roush testified that Tiffany was very passive and on one occasion even left Student alone. Student’s behavior grew worse during that time. Ms. Roush described one incident in which Student picked up a brick and was waving it around. It took a lot of coaxing to get Student to put it down. 38. In approximately December 2011, TAG hired a new aide named Chris to work with Student. Chris was an outstanding aide and Student’s behavior began to improve rapidly after Chris began working with Student. TAG’s initial goal was to integrate Student for 30 minutes into the classroom, but by the end of May 2011, Student’s behaviors had improved so dramatically that Student was in the classroom for most of his school day, except when pulled out for special education services such as speech and language. 39. In February 2012, TAG prepared a progress report for Student discussing the progress he had made on his IEP goals both academically and behaviorally. Ms. Belcher sent Ms. Wagner an email instructing TAG to report only on the progress on behavioral goals, not academic goals. TAG’s subsequent reports focused solely on the progress Student made toward his behavioral goals. Even though TAG was not reporting on academic goals, Ms. Wagner testified that RDI was being used with Student successfully on his academic goals during this time. Student gained academic, behavioral and social benefit during that time, and continued to do so through the end of the school year. 40. Because Student’s behavior had been so bad during the fall of 2011 when Tiffany was Student’s aide, the District prepared a plan to assess Student. When Student started to improve after Chris became Student’s aide, the District staff was concerned that Student might be exhibiting a “honeymoon” period of good behavior which would eventually grow worse again, so the District still wanted to assess Student. The District subsequently also offered an assessment in the area of assistive technology (AT). 41. Student’s mother did not agree to the assessment plans. At first, she did not have time to consider the plans because of disruptions in her life caused by her father’s unexpected death. Later, she wanted more information on which assessments would be conducted. After unsuccessful attempts to schedule IEP meetings to discuss the proposed assessment plans, the parties met for an IEP meeting on June 4, 2012. 42. In the meantime, Student continued to make academic, behavioral, and social progress. According to Mr. Roth, Student had made a year’s worth of academic and behavioral growth in a half year. 43. During his testimony, Kevin Girod, Student’s second grade general education teacher, described the different ways that Student would participate in the class. For example, Student participated with his typical peers during the time when the typical pupils sat on a rug for group activities. Student had a different curriculum than the typical Students, but after his behavior improved, he could work on his own worksheets during math instruction time. The worksheets involved things such as writing his name and writing numbers. As the year went on, Student became more independent in using the worksheets. When the typical children in class used blocks to learn fractions, Student could use those same blocks to learn to follow directions and work with peers in a cooperative activity. 44. At times, the typical children in class engaged in a learning center activity in which a child would listen to an audio recording of a book and follow along with the physical book. Although Student could not read, he could share this activity with a typical peer who could listen at the same time Student was listening and show Student when to turn the page in the book. Mr. Girod and Chris were also able to modify general education activities to include Student, such as having Student participate in counting hearts on Valentine’s Day to include in the bar graphs the class was preparing. 45. Ms. Roush agreed that Student had made educational progress in the full inclusion setting and had benefitted socially. By June 2012, Student had met 10 out of his 22 goals, including some of his academic goals, and had made progress on most of his other goals. Student’s IEP no longer stated that Student’s behavior impeded his learning. 46. During the hearing, Ms. Wagner explained that by June 2012, Student had progressed to the point where he was beginning to notice when he made a mistake and erase it on his own. He was receptive toward feedback and actively participated in his learning. He was also developing a measure of independence from his aide. For example, on one occasion in May 2012 when Chris was not present, Student went to his “man-cave” by himself (where he usually started the day) and began to work on his own. 47. While both parties agree that Student made progress between December 2011 and June 2012, they disagree about the reason for that progress. The District witnesses believed that Student’s progress was due to the ability of Chris as an aide. Dana Belcher, the District special education teacher who worked with Student, described Chris as an exceptional aide who went above and beyond any aide she had seen in her life. She said he was motivated, attentive and a self-starter, and that he used a variety of methodologies with Student, depending on the situation. Both Ms. Belcher and Ms. Roush testified that Chris did not solely use RDI methodologies with Student, but instead also used strategies from ABA such as external rewards for good behavior and other non-RDI strategies. Ms. Belcher testified that Student benefitted from this eclectic approach used by Chris. Ms. Roush believed that Student benefitted from the use of RDI, but also benefitted from Chris’s use of other methodologies. 48. Student, however, contended that Student’s progress was due to Chris’ consistent use of RDI methodology with Student. Ms. Wagner testified that Chris was good, but was not exceptional as TAG aides go. She pointed out that another RDI aide (Keith) currently works successfully with Student when Chris is not available. Neither party called Chris to testify at the hearing, so all evidence regarding his instruction of Student came from other testimony and documentation. 49. The evidence supports both parties’ positions to some extent. The District is correct that Chris did not use exclusively RDI methodologies with Student. At times, he would use external reinforcements such as permitting Student to play video games if Student successfully completed assigned tasks. Chris also used cartoon characters called “Superflex” and “Rockbrain” to help explain appropriate behavior to Student. Neither external reinforcement nor the two cartoon characters were part of RDI methodology. Ms. Wagner testified that Chris may have used other methodologies at first because he was only learning the RDI program, but the District witnesses were persuasive in their testimony that Student gained benefit during the time that Chris used those other methodologies. 50. However, Student is correct that Chris’s RDI training and use of RDI techniques benefitted Student. Chris effectively developed the mentor-apprentice relationship with Student that is the foundation for the RDI approach, and he used that relationship to good effect. Both parties agree he is an excellent aide, but the evidence showed that Student also gained benefit under RDI-trained Michelle and has recently been successful with Keith, another TAG aide. Student was not successful under Tiffany, but the evidence showed that Tiffany had problems unrelated to any methodology she was taught. While Chris may not have used exclusively RDI methodologies, RDI was a necessary component of Student’s program. It was also a necessary part of what enabled Student to gain benefit in the general education classroom. 7 Because that school district is so small and because it is not a party to this proceeding, it will not be named in this Decision in order to help maintain the privacy of Student and his family. 51. In approximately April 2012, after Student’s family had moved, Student’s mother attempted to enroll Student in her school of residence located in a very small school district near Julian. 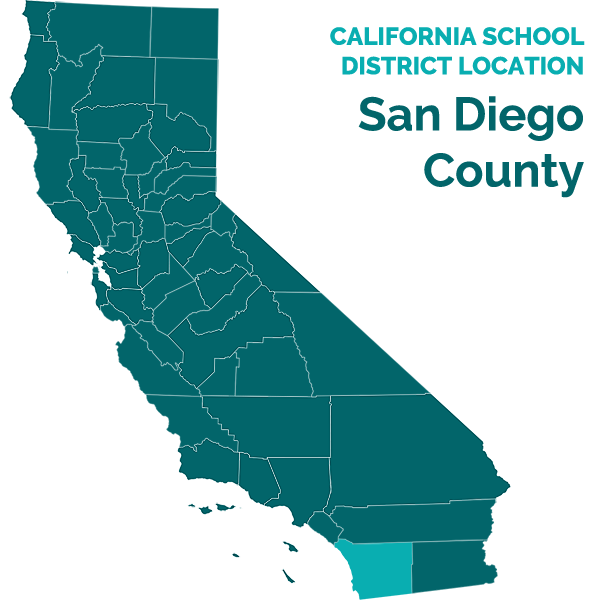 7 That small district is within the same special education local plan area (SELPA) as Julian Union Elementary School District. It is in a sparsely populated region and the school Student would have attended has very few children. Ms. Roush described the school as a three-room school house, with about 25 to 30 pupils. That small district relies upon its neighbor, Julian Union Elementary School District, to provide special education services. Anne Hensel, the Special Education Director for Julian Union Elementary School District, also provides special education administrative support for the small district, and the two districts use the services of the same legal counsel. The April 11, 2011 IEP also indicates that [Student] spends 42% of his time outside of the regular class, and 58% of the time in the regular class. We have confirmed with Julian Charter School that the above information is correct. Given [the district’s] small size and limited resources, we currently only offer general education classes on-site and are unable to provide the transition between the general education and special education settings required by [Student’s] IEP. 54. Student’s mother did not believe that the SDC placement offered by the small district was appropriate for Student. She did not want Student moved from his full inclusion setting into a special education classroom. Student’s siblings attended school at their home school in the small district, but Student continued to attend Julian Charter School in Encinitas. 55. Student’s IEP team met on June 4, 2012. The team members agreed that Student had been making excellent progress since December 2011. Ms. Roush told the team that formal assessments were no longer necessary for Student. Instead, the District recommended informal assessments to establish baselines for some of Student’s new academic goals. 8 Some of the documents indicated the August 2012 IEP meeting was held on August 16, 2012, and others state August 14, 2012. It will be referred to as the August 14, 2012 IEP in this Decision because that was the date on the first page of the IEP document. 57. Student’s IEP team met again on June 12, 2012, and on August 14, 2012, to continue drafting Student’s IEP. 8 Student’s mother and Student’s advocate Mr. Roth anticipated that, in light of Student’s excellent progress, the District would continue his general education, full-inclusion setting. It was also anticipated that the IEP document would reflect that inclusion setting and the RDI-trained, NPA aide, so that Student’s mother could seek that same program at Student’s new home school in the small school district. 58. Contrary to the expectations of Student’s mother, the District IEP team members did not recommend that Student stay in the same general education, full-inclusion setting. Instead, the District recommended that Student receive most of his education in a special education classroom in Julian, with a small amount of mainstreaming in the general education class at a public school in Julian. The District’s rationale for that change and the parties dispute over whether that change amounted to FAPE in the LRE will be discussed in Factual Findings 67 – 83 below. 59. The District witnesses testified that, at the time of the August 2012 IEP meeting, they did not know what special education classrooms would be available in Julian so they could not give specific information about them during the IEP meeting. After the meeting, the District team members learned more about the Julian special education classes and Student’s mother had an opportunity to visit the proposed class. The District wrote a follow-up letter with a final offer and revised the IEP document to include that offer. The team considered full time in general education with additional adult supervision with DIS services as well as pull out for specialized academic instruction. Because [Student] requires direct instruction in a small group with peers who have similar goals/skills he requires pull out for a portion of his day to progress in his goals. 61. The IEP contained similar modifications and accommodations to the April 2011 IEP, including an “instructional aide” in the regular classroom for 11 hours per week. The proposed IEP called for 900 minutes of specialized academic instruction in a location identified as a “separate class in public integr facility.” The IEP also called for 45 minutes per week of group speech and language services in a separate class, 45 minutes per month of individual speech and language services in a separate class, 30 minutes of individual occupational therapy per week in a separate class, and extended school year services, as well as consultation and collaboration by various individuals. The IEP stated that Student would be outside the regular class for 52 percent of his time and in the regular class for 48 percent of his time. [Student’s mother] and Allan indicated that [Student] should remain included in a general education setting with an aide, in part because he made a lot of progress in a similar setting last year. Staff agrees that [Student] made a lot of progress in his program last year and as a result is ready to be challenged more academically. Staff also agrees that [Student] should remain in general education with aide support to work on his goals and generalize skills he learns outside of the classroom. However, in order to provide [Student] with an educational benefit in the least restrictive environment he requires systematic, specialized instruction with repetition, a modified curriculum and access to different methodologies. 65. Student parents ultimately consented to portions of the August 2012 IEP offer, including the goals, the occupational therapy services and some of the modifications/ accommodations. They did not consent to the proposed placement or the removal of Student from his full-inclusion setting. 9 On January 14, 2013, a few days before the start of this hearing, the District offered to amend the August 2012 IEP to state, in part, that Student’s “placement will be full inclusion in general education classroom except where noted for DIS services.” Although this proposal is not directly relevant to the IEP offer made several months earlier, it provides further evidence that Student has continued to make progress in his general education inclusion placement with his RDI-trained, TAG aide. 67. The main factual disagreement between the parties involves the appropriateness of the placement offered in the August 2012 IEP. The witnesses on both sides dispute what constituted the LRE appropriate for Student as of August 2012. 68. Mr. Roth and Student’s mother both believed that Student should have continued in his full-inclusion, general education setting with a TAG-employed, RDI aide, because he was making progress in that setting. Student’s mother testified to the social benefits Student gained from his full-inclusion placement. He interacted with his peers during class and was invited to parties and other after school events with his classmates. In her experience, Student responds well to typical peers, but does not respond well to other disabled children. Mr. Roth testified that Student had friends in the general education class and was successful there. 69. Ms. Wagner agreed with their testimony. In her opinion, Student was gaining academic and social benefit in the general education setting in August 2012, and he was not disruptive to the class. She felt Student could continue to gain educational benefit in a general education inclusion setting with a TAG aide. She believed Student’s goals, including his academic goals, could be worked on in a general education setting. 70. Ms. Wagner also raised concerns about the classroom setting that the District proposed in Julian. She had visited the proposed SDC classroom and did not believe it would offer Student a FAPE because it was ABA-based. She was informed that the classroom teacher was not interested in employing RDI strategies. In Ms. Wagner’s opinion, the use of ABA strategies with Student, including external reinforcement, would be inconsistent with Student’s use of RDI. Ms. Wagner believed that Student needs an RDItrained aide to receive an appropriate education. 71. Student also relied upon the testimony of Sharon Lerner-Baron, Ph.D., a licensed clinical psychologist who specializes in the inclusion of pupils with typical peers. Dr. Lerner-Baron was previously the Program Director of Kids Included Together (KIT), a non-profit organization that supports recreational sites to include disabled children in recreational activities with typical peers. She no longer works for KIT, but she continues to consult on the subject of inclusion of disabled children with their typical peers. She is a frequent speaker at trainings around the country and consults with school districts. 72. Dr. Lerner-Baron observed Student in his full inclusion placement at ICE in October 2012, and prepared a report. She opined that Student was gaining educational benefit in that setting. Her report concluded that Student was able to benefit both academically and socially in his current full-inclusion placement. She also testified regarding different techniques, training and methodologies that could be used to support Student in that full-inclusion setting. 73. She explained that the SDC class with some mainstreaming offered by the District in the August 2012 IEP was not the same as the full-inclusion placement that Student had at ICE. In an inclusion setting, the child is a member of the regular education class and only leaves class when necessary. With mainstreaming, the child is only a visitor in the general education class for part of the time. In her opinion, it was objectively reasonable as of August 2012 for the IEP team to conclude that Student could continue to be successful in the general education environment with accommodations. He was not disruptive, and in her opinion he could gain academic and social benefit in that setting. 74. The District witnesses, on the other hand, believed that Student needed to be in an SDC setting to gain educational benefit. Ms. Roush explained that Student had made so much progress in the few months before August 2012, that the District team members felt he could learn to read. To accomplish that, he needed systematic instruction conducted by a special education teacher in a class with other peers who were also learning those same prereading skills so he could engage with those peers. She also believed that a placement in Julian would be appropriate because it was closer to Student’s parents’ new home. 75. In Ms. Roush’s opinion, Student would not gain any academic benefit in a general education class. Student’s modified curriculum would be so different from typical third graders that he would have no classmates to engage with academically, so he would not benefit academically from interaction with typical peers. 76. Ms. Roush admitted that Student could gain social benefit from a general education placement and that he would not be disruptive to the class. In addition, she believed it would be more expensive for the District to place Student at Julian Elementary School than the inclusion class at the charter school. However, she felt that Student could not learn academics by coaching from his TAG aide; instead he needed to be taught by a special education teacher. If he received that instruction from the special education teacher in a one-to-one setting, in her opinion, that would be more restrictive because he would not be learning in a classroom with peers. 77. Mr. Girod also felt that Student needed to be with peers who were working on the same level of material. He believed Student’s IEP goals should be implemented outside the general education classroom so Student could master the skills before practicing them in the classroom. The pupils in the typical class would be working on far different learning objectives than Student. 78. Ms. Belcher did not believe that Student could gain academic benefit in a fullinclusion, general education inclusion setting as of August 2012. Ms. Belcher has been an educator for many years and received her master’s degree in special education in 1995. She holds special education credentials and a CLAD (cross-cultural language acquisition and development) credential. She has attended trainings on ABA and been involved with inclusion of pupils with disabilities into the general education setting. She provided special education instruction and consultation while Student was at ICE. 79. In her opinion, Student needed to have books and instruction designed to move him from a non-reader to proficient in reading. He also needed the instruction of a special education teacher to help guide him past mistakes. She felt that one-to-one instruction from a TAG aide would not be sufficient to teach him to read. Ms. Belcher explained that RDI was a behavioral strategy, not an instructional strategy. In her opinion, behavior might be changed through indirect RDI methods, but you cannot teach a new academic skill indirectly. Likewise, she felt that trying to modify the third grade curriculum materials would be too haphazard a method to use to teach Student reading. She opined that Student needs to be moving around and active during the learning process; filling out worksheets in a third grade general education classroom would not be engaging for him. 80. During the hearing, she pointed out that Student had only made about five percent progress on his sight reading goal. In her opinion, that was de minimus benefit. Even though he had not made progress on that goal, Student had met other academic goals, as noted in Factual Finding 45 above. The District IEP team members felt that, with the right kind of education, he could learn to read. 81. Ms. Belcher admitted that, if a credentialed special education teacher pulled Student out of the general education classroom for systematic and direct instruction one-onone, Student could learn. In her opinion, however, that one-on-one instruction would place Student in a more isolated setting than an SDC class. She believed that such a one-to-one setting was not the LRE for Student. 82. The District witnesses concluded that the District’s August 2012 proposed IEP offered a FAPE in the LRE and that Student would not gain any academic benefit in his fullinclusion setting with a TAG-supplied aide. They felt his new IEP goals were more academically challenging than those of the prior year. Given those goals, he would not gain academic benefit from inclusion. 10 The parties also dispute whether the District predetermined Student’s placement in the August 2012 IEP and whether the District IEP team members allowed Student’s parents to participate meaningfully in the IEP process. Student did not directly allege these issues in the due process complaint. However, even if Student had done so, the evidence did not support a finding of predetermination or lack of parental participation. Ms. Roush testified that the District developed the idea of moving Student to an SDC in August 2012. The District did not offer a specific type of classroom during the August 2012 IEP meeting, because the District did not know what was available at the Julian Elementary School. Mr. Girod also testified that the IEP team went goal-by-goal to determine the best setting to implement those goals. Their testimony on these issues was persuasive. 84. The parties disagree about whether Student or his family suffered any harm, even if there was a denial of FAPE by the District. Because of the stay put doctrine, Student has remained in the full-inclusion general education classroom with a TAG-employed, RDItrained aide since August 2012. Student has continued to gain educational benefit. 85. During the hearing, Student raised three areas in which he contends that Student and his family suffered harm due to the District’s actions. 86. First, Student’s family had to hire an attorney to represent them. The District’s initial due process request (case number 2012100043) included a clause stating that the TAG aide was not part of Student’s IEP and that the District could replace that individual with a District aide at any time. At that point, Student’s mother grew very concerned that the District might change the aide, leading Student to regress. She felt that she had no choice but to hire an attorney to protect Student. 87. Second, after the August 2012 IEP meeting, Student’s parents hired Dr. Lerner-Baron to provide guidance to Student’s parents and the IEP team about methods that could be used to modify the third grade classroom curriculum to enable Student to stay in the general education inclusion setting with typical peers while still gaining academic benefit. Dr. Lerner-Baron charged Student’s parents $1,980.00 for her services. 88. According to Ms. Belcher’s testimony, the District has already agreed to reimburse Student’s parents for Dr. Lerner-Baron’s services. At that time of the hearing, a check had been processed, but had not yet been received by Student’s parents. Student’s written closing argument indicated that the money has now been received. 89. Third, Student contends that Student has been unable to attend his home school in the small school district because the District’s April 2011 IEP and August 2012 IEP do not reflect his inclusion placement with an NPA aide trained in RDI methodologies. Instead, Student has continued to attend the Charter School many miles from his new home. 1. The party filing a due process case has the burden of proof. (Schaffer v. Weast (2005) 546 U.S. 49 [126 S.Ct. 528].) In the instant case, Student has the burden of proof. The District previously withdrew its portion of the case. Did the August 2012 IEP Offer Student a FAPE in the LRE? 7. Student’s first issue alleges both procedural and substantive violations. Typically in a due process decision the procedural violations are addressed first. However, in the instant case in which the resolution of the substantive issue is clear, it makes sense to address that issue first, rather than take the time to go through a full procedural analysis. Even if the District was correct in all its procedures, if the offered placement was not in the appropriate LRE, then the District denied Student a FAPE. As the district court noted, the District and the Hollands have conflicting educational philosophies and perceptions of the District’s mainstreaming obligation. The District has consistently taken the view that a child with Rachel’s IQ is too severely disabled to benefit from full-time placement in a regular class, while the Hollands maintain that Rachel learns both social and academic skills in a regular class and would not benefit from being in a special education class. 13. The Rachel H. court upheld the lower court’s conclusion that the appropriate placement for Rachel “was full-time in a regular second grade classroom with some supplemental services….” (Rachel H., supra, 14 F.3d at p. 1399.) The services provided to Rachel included aide support. 14. In the instant case, as in Rachel H., the four factors weigh in favor of a general education inclusion placement. All witnesses agreed that Student gained non-academic benefit in the general education classroom. As set forth in Factual Findings 67 – 83, above, Student had friends in the general education class, was invited to parties by his typical peers, participated with the typical peers in class activities, and enjoyed being with his peers. 15. The third factor also weighs in favor of inclusion. As set forth in Factual Findings 38 – 50, 55 – 57, and 67 – 83 above, by May 2012, Student was no longer disruptive in the classroom, and his August 2012 proposed IEP noted that his behavior no longer interfered with his learning or that of others. The testimony of Mr. Girod demonstrated the benefits to Student and the other children in the class from his participation. The other children were able to assist Student and he learned from them. 16. Although the fourth factor – cost – is not usually discussed in modern cases regarding LRE, the only evidence at the hearing regarding cost weighed in Student’s favor. As set forth in Factual Finding 76 above, Ms. Roush testified that it would actually be less expensive for the District to educate Student in the general education classroom at the charter school than the SDC placement proposed in Julian. Unlike Rachel H., in which the school district complained about the high cost of educating Rachel in the general education classroom, the District’s own witness admitted that it would be less expensive for the District to educate Student in the general education classroom. 17. The real dispute between the parties in this case involves, as it did in Rachel H., the academic benefits that Student would gain in the general education setting. As set forth in Factual Findings 35 -83 above, the evidence showed that Student gained academic benefit in the general education inclusion setting with Student’s one-to-one, TAG-employed, RDI-trained aide. Student continued to gain meaningful educational benefit in the general education setting after the date of the August 2012 IEP offer, while Student was in a “stay put” placement. 18. Given Student’s tremendous progress in the months before the IEP meeting, it was objectively reasonable as of August 2012 for the District to conclude that Student, if given the same supports and services, would continue to gain academic benefit in the fullinclusion, general education setting. 19. The District raises two main arguments to dispute this. First, the District contends that Student’s IEP goals were more rigorous in the August 2012 IEP than they had been previously, so Student needed an SDC placement with instruction by a special education teacher to make progress on these new academic goals. The District points out that Student did not make progress on Student’s sight-word reading goal prior to the August 2012 IEP. Because the new goals related to pre-reading skills, the District staff believed Student would also not gain benefit in those skills in a full-inclusion setting, even with a oneto-one TAG aide. 20. Second, while the District witnesses admitted that, if Student received one-toone instruction from a special education teacher for part of the school day in the fullinclusion setting, Student might make academic progress, the District witnesses believed that the one-to-one instruction would be more restrictive than a placement in an SDC. The District educators felt very strongly that Student needed peers at his same academic level in order to benefit from his academic instruction in the LRE. 21. Neither of these arguments is persuasive. As set forth in Factual Findings 45 and 80 – 81 above, while Student may only have made a small amount of progress on one or two of his academic goals prior to August 2012, he made progress on other academic goals in the full-inclusion setting with the one-to-one TAG aide. It was objectively reasonable to conclude that he would continue to gain meaningful educational benefit and make progress on his IEP goals in the full-inclusion setting with his TAG aide, just as he had the year before. Even Ms. Belcher admitted that Student could gain educational benefit if assisted by a special education teacher in connection with that full-inclusion setting. 22. The District’s second argument – that Student needed to be in a special education class with peers of the same academic level (i.e. other intellectually disabled children) is contrary to the policies behind LRE. The purpose behind IDEA was to get children out of special education classrooms and back into the general education classroom whenever possible. Only when a general education setting is not appropriate (when a child will not gain educational benefit) can a child be removed from that setting. While it is certainly true that any time Student would spend in a one-to-one setting outside the general education classroom would be restrictive, that would not make the full-inclusion setting restrictive. Student would still be a member of the full-inclusion class, and would only be pulled out when necessary. Under the District’s proposed placement, unlike the inclusion setting, Student would be in a classroom with typical peers for only a small fraction of his educational day. 23. The District witnesses were sincere in their belief that Student needed an SDC classroom to gain academic benefit. They may be correct that Student would gain greater academic benefit by being in an SDC than he would in the full-inclusion class with his RDI aide. But that belief, however sincerely held, is contrary to the wishes of the Congress and the California legislature. The Congress could have enacted IDEA to maximize a child’s academic potential by placing every disabled child in a very small, special education setting. But that was not the policy choice made by Congress. Instead, the policy behind IDEA is to give special education children a basic floor of educational opportunity that places them back in the general education setting as much as possible. 25. The OAH decisions cited by the District involved children who were not gaining academic benefit in the general education setting or who had never demonstrated the ability to progress in the general education setting. In the instant case, by contrast, Student had gained benefit in every area – academically, socially, and behaviorally – in his full inclusion setting as of the August 2012 IEP meeting. As Ms. Roush so aptly stated during that IEP meeting, Student had made “huge” progress. Those prior OAH decisions do not justify the District’s decision to change Student’s placement to a more restrictive setting. 27. Because the District’s August 2012 IEP proposal did not offer Student a FAPE in the LRE, it is not necessary to examine the procedural issue regarding whether the District was required to assess Student before recommending the change in placement. Did the April 11, 2011 IEP Appropriately Document Student’s Need for Aide Support? 28. The more difficult question in this case involves Student’s second issue. As set forth in Factual Findings 1 – 34, Student did not meet his burden to show that the April 2011 IEP agreed to provide an NPA aide to Student. There was no denial of FAPE based on the failure to include language regarding the NPA aide in the April 2011 IEP. 29. As set forth in Factual Findings 1 – 34, Student met his burden to show that the IEP team agreed that Student should have an aide who was trained in and used RDI methodology. That was what the IEP team agreed to and that was, in fact, what the District provided before and after April 2011. From a factual point of view, Student is correct. 30. The difficulty arises because of the nature of Student’s second issue. It does not involve the substantive question of whether an RDI-trained aide was a necessary part of Student’s program. Student instead alleges a technical issue – was Student denied a FAPE because the language of the IEP did not state that Student’s aide had to be trained in RDI methodology? In other words, did the District commit a procedural violation of special education law by failing to specify the aide’s RDI training in the IEP, even though the District, in fact, provided such an aide and Student substantively received a FAPE? for the child to receive FAPE, the instructional methods may be addressed in the IEP. 11 The current version of the federal regulations has moved the definition of specially designed instruction to 34 Code of Federal Regulations part 300.39(b)(3), but the definition has not changed significantly since the time of the 1999 amendments. In light of the legislative history and case law, it is clear that in developing an individualized education there are circumstances in which the particular teaching methodology that will be used is an integral part of what is “individualized” about a student’s education and, in those circumstances will need to be discussed at the IEP meeting and incorporated into the student’s IEP. For example, for a child with a learning disability who has not learned to read using traditional instructional methods, an appropriate education may require some other instructional strategy. Other students’ IEPs may not need to address the instructional method to be used because specificity about methodology is not necessary to enable those students to receive an appropriate education. There is nothing in the definition of “specially designed instruction” that would require instructional methodology to be addressed in the IEPs of students who do not need a particular instructional methodology in order to receive educational benefit. In all cases, whether methodology would be addressed in an IEP would be an IEP team decision. 35. Student spends much of his written closing argument arguing that the April 2011 IEP team agreed that Student needed RDI services as part of his educational program. However, that is not the issue – this case does not involve a substantive dispute over the merits of RDI for Student. Indeed, the evidence was clear that between April 2011 and August 2012, Student’s aides used RDI methodology along with other methodologies for Student. 36. The issue, instead, is whether the IEP team (which included Student’s mother who agreed to the IEP) violated special education law by failing to specify in the IEP document that Student’s aide would be trained in RDI methodology. Student has cited to no authority requiring an IEP document to specify a methodology, particularly when Student admits in his closing argument that other methodologies were also used with Student. 37. Most of the federal cases cited by Student involve substantive disputes over methodology between parents and school districts. (See, e.g., Lachman v. Illinois State Board of Education (7th Cir. 1988) 852 F.2d 290; Visco v. School District of Pittsburgh (W.D. Penn. 1988) 684 F.Supp. 1310.) None of the cases required the use of particular language in an IEP document or held that an IEP team violated special education law by failing to use particular language when the program was appropriate substantively. 38. The case of Joshua A. v. Rocklin Unified School District (E.D. Cal. 2007) 2007 WL 2389868 (Rocklin), cited by Student, is also not relevant to the procedural issue. Rocklin involved the determination of what constituted “stay put” based, in part, on what was written in the IEP document. Stay put is not an issue in the instant case – Student has continued to receive his current services (including his TAG-employed, RDI-trained aide) as part of stay put. 40. In the instant case, the District’s April 2011 IEP was not so vague with respect to the aide support that Student’s parents did not know what was offered. To the contrary, Student’s mother agreed to the IEP and Student received the agreed-upon services. When a non-signatory school district did not understand the IEP, Student’s mother went back to the District seeking to have the IEP clarified. It was after that point that the District tried to revise Student’s program. The District’s actions in and after August 2012 were the problem, not the IEP offered in April 2011. 41. Citing a 1994 hearing officer decision from Georgia (DeKalb County School District (1994) 21 IDELR 426), Student contends that this issue can be resolved according to breach of contract principles. Student is incorrect – state contract law does not apply to IEP’s. (Van Duyn v. Baker School District (9th Cir. 2007) 502 F.3d 811, 819.) However, even if contract principles were applicable, they would not avail Student in this case – Student received the services agreed to under the April 2011 IEP. Student’s parents could have insisted on other “contract” terms, but they did not. They got the “benefit of their bargain.” There was no breach of contract. 42. In summary, the law makes it clear that the language used in an IEP is an IEP team decision – the IEP team decides how much or little specificity is necessary in the IEP document. In the instant case, the IEP team (including Student’s mother, who agreed to the IEP) opted for more general language regarding Student’s aide support. 43. Could Student’s IEP team have chosen to use more specific language in the April 2011 IEP? Absolutely. The comments to the 1999 amendments to the federal regulations are clear on that issue. Should Student’s IEP team have used more specific language? Probably. Specificity might have avoided future litigation. But did Student’s IEP team violate special education procedural law by failing to use more specific language? No, the team did not. Student’s parents knew what was offered, agreed to what was offered, and received the offered educational services for their son. 44.Any other holding would interfere with the discretion vested in the IEP team to choose the language of the IEP. The comments to the federal regulations make it clear that the law intended to allow an IEP team to decide whether and when to specify methodology in the IEP document. If a parent believes a district’s offer is too vague, the parent can refuse to sign the IEP document. 45. As set forth in Factual Findings 66 and 84 above, the District has continued to provide Student with an appropriate education in the general education environment with a TAG-employed, RDI aide as “stay put” during the pendency of this matter. Student has continued to gain educational benefit with that placement and those services. Therefore, there is no need for an award of compensatory education for Student. 46. Likewise, the District has now paid for Dr. Lerner-Baron’s assessment, so there is no need to order reimbursement for that expense. 47. However, Student is entitled to prevailing party status in this case. Student prevailed in the key issue of this case – the LRE appropriate for Student. The District’s proposed August 2012 IEP did not offer Student a FAPE in the LRE. Until such time as the parties agree to a new IEP or Student no longer attends school in the District, the District shall continue to provide Student with his “stay put” placement and services, just as it has been doing. 1. The District’s August 14, 2012 IEP did not offer Student a FAPE in the least restrictive environment and the District may not implement that IEP, except for those portions to which Student’s parents have consented. 2. Student’s other claims for relief are denied. Pursuant to California Education Code section 56507, subdivision (d), the hearing decision must indicate the extent to which each party has prevailed on each issue heard and decided. Here Student prevailed on the main issue in this case (the first issue) and the District prevailed on the second issue.